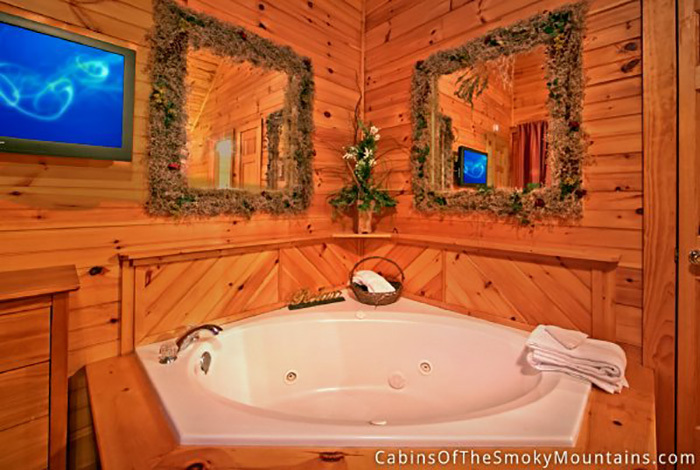 Honeymooning? 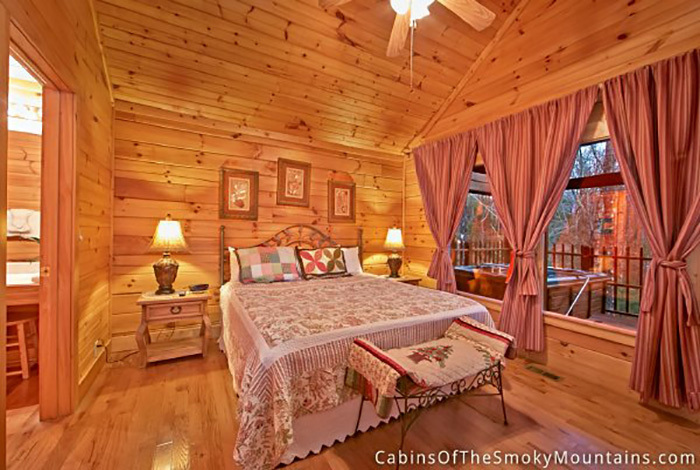 Taking a romantic getaway? 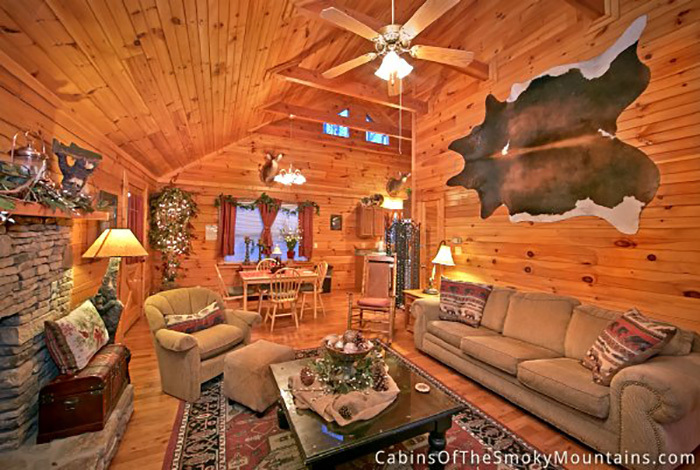 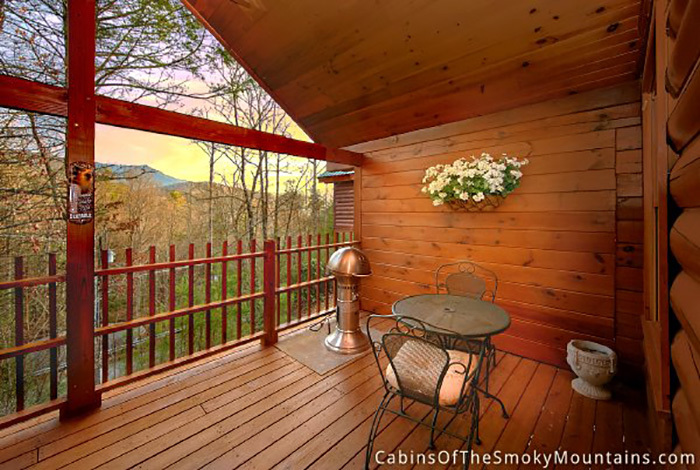 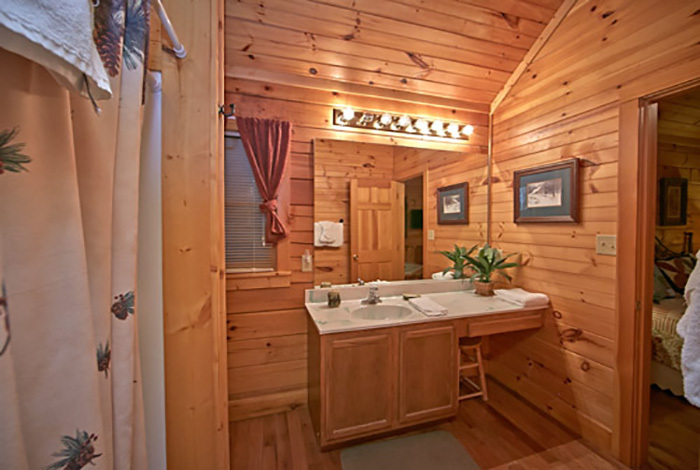 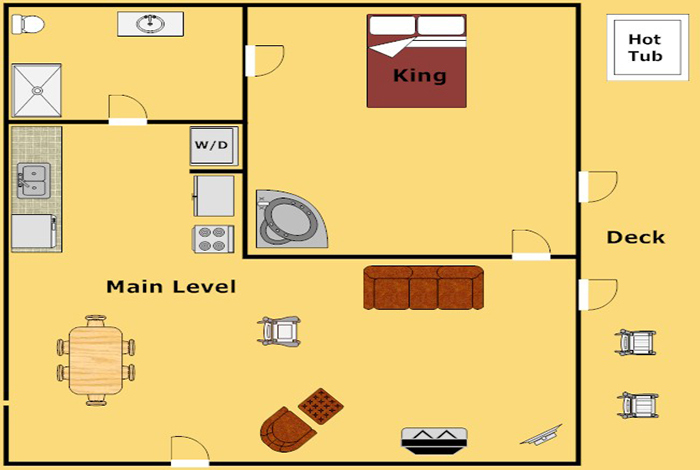 Stop and take a look at our beautiful one bedroom cabin Smoky Mountain Memories! 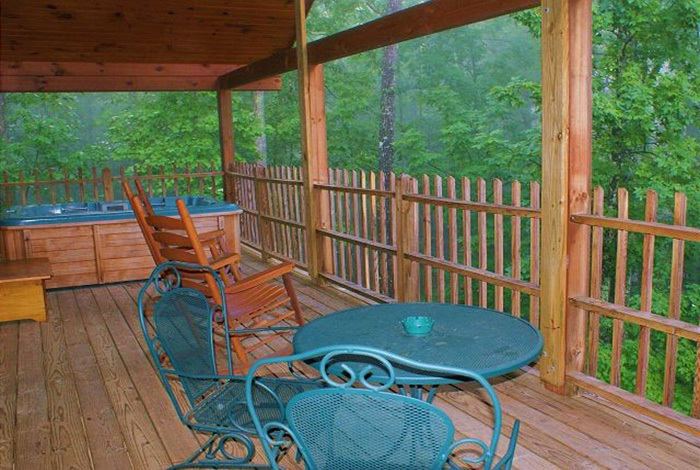 Stay here and you will build memories to last a lifetime. 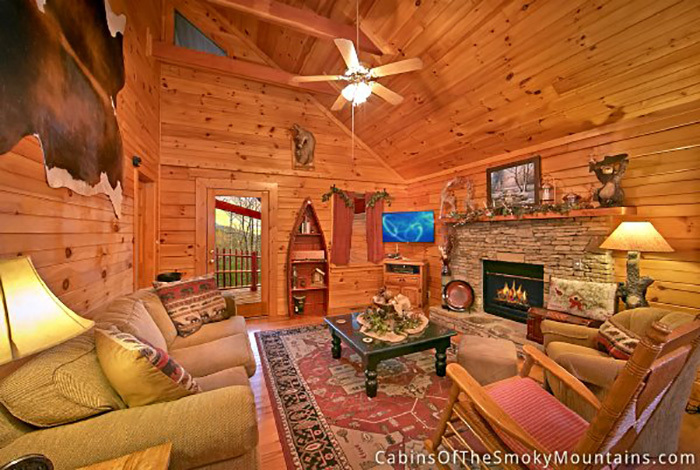 This cabin has private, serene wooded surroundings and is the perfect place to start a life together! 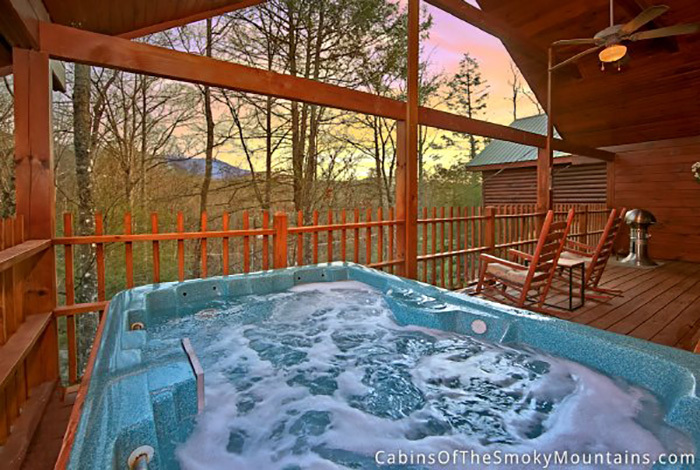 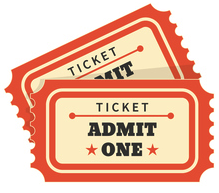 Get close in the relaxing hot tub on the deck, or even closer in the indoor jacuzzi or in front of the gas fireplace. 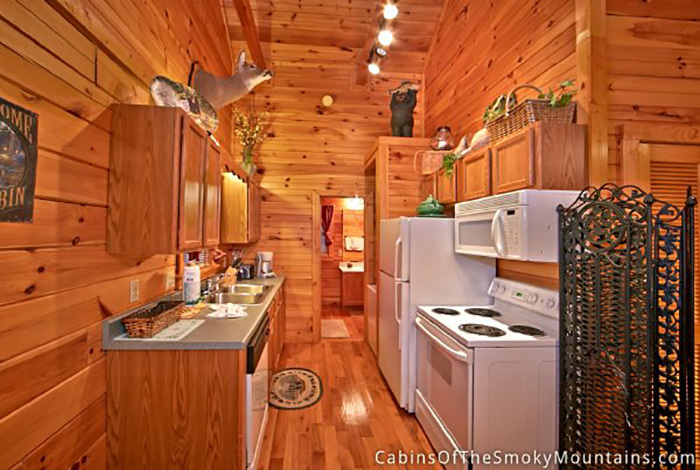 Cook a sensual dinner together utilizing the full kitchen and charcoal grill. 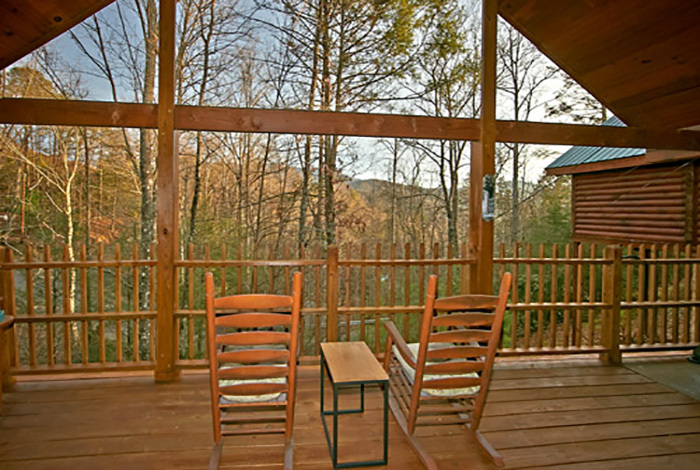 Veg out after a fun day venturing through downtown Gatlinburg and watch TV with Premium Cable. 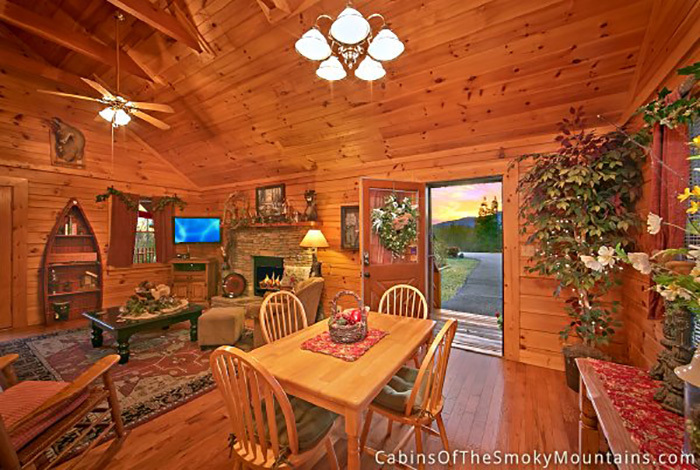 Smoky Mountain Memories cabin will bring you closer together than ever before!